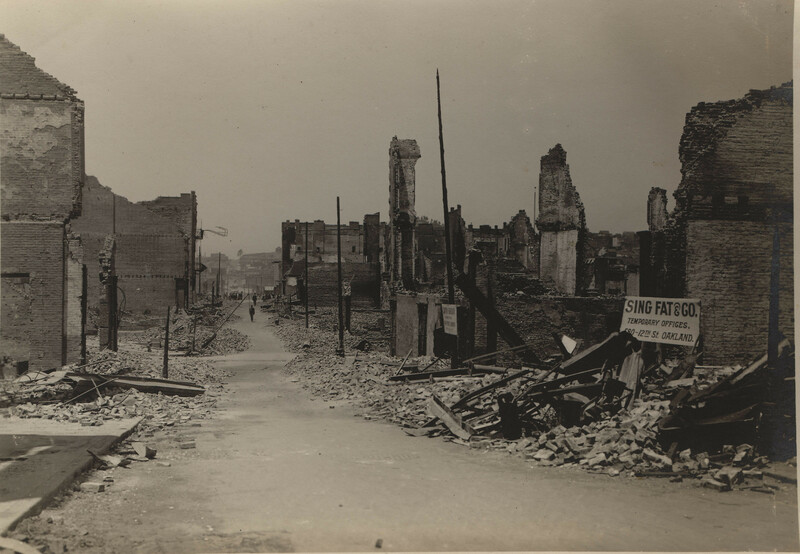 This photograph shows Chinatown in San Francisco, California reduced to rubble after the 1906 earthquake. Among the rubble is an advertisement for the Sing Fat & Co temporary offices located in Oakland, California. 15,000 Chinese were forced from their homes and businesses after the 1906 earthquake; many of these displaced Chinese relocated to Oakland’s Chinatown.